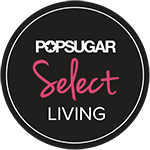 We love featuring home tours! 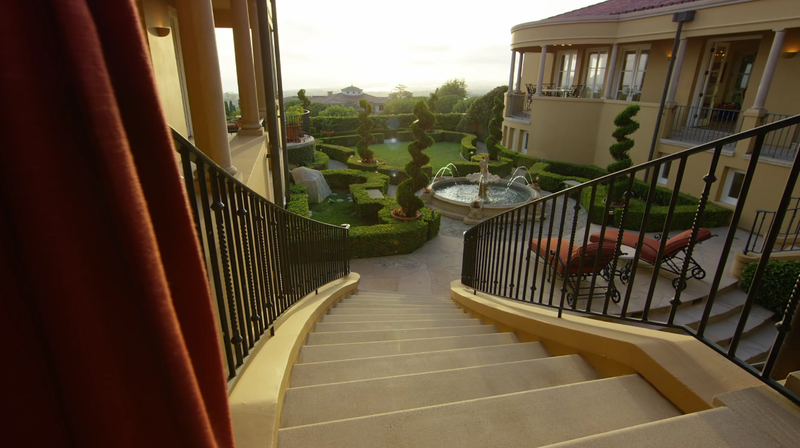 This week, take a sneak peak into Leyla Milani’s Tuscan style house in New Port Coast, California! Persian Iranian entrepreneur, and owner of her very own hair extension company Milani Hair, Leyla Milani is one bold woman to look out for. Besides her amazing fashion sense and eye for style, she also has a gorgeous home we couldn’t wait to take a peak into! 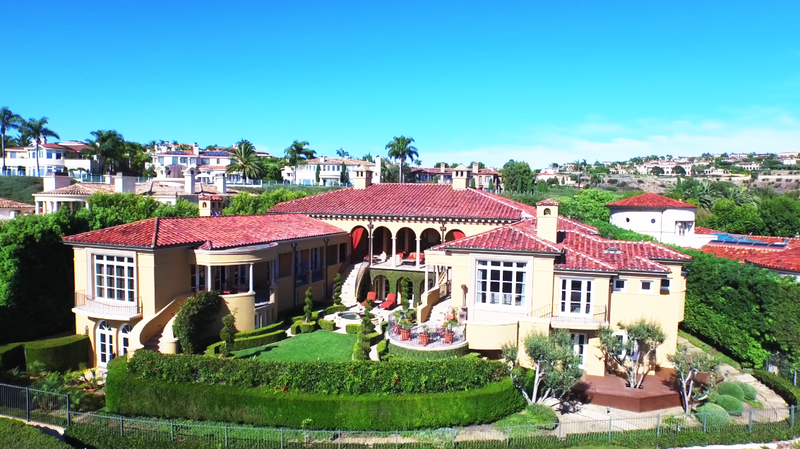 This stunning Mediterranean style villa is located in a prestige, gated community in New Port Coast California on Sunset Harbor road. 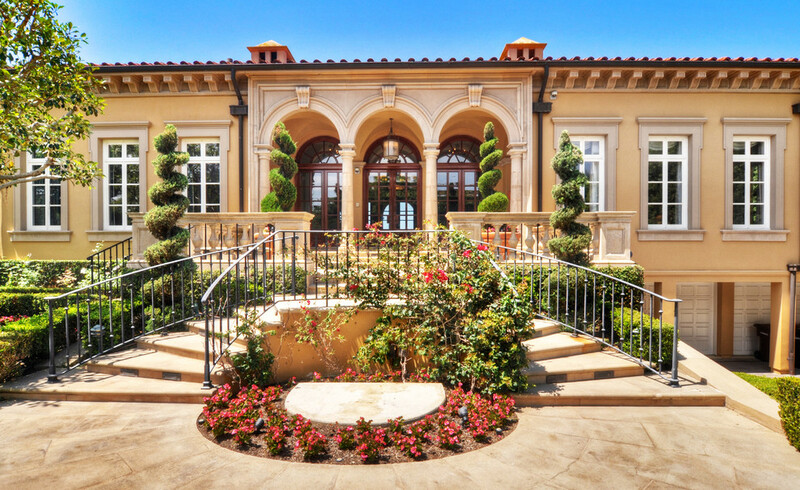 The home is expansive, full of positive vibes, and a lot of California sunshine! The main lobby and entrance bears Leyla’s intriguing stamp on luxury, opulence, and superstar treatment. Full of nuanced combinations of cream, gold, white, and beige, the home’s decor mimics a high-style hotel retreat. 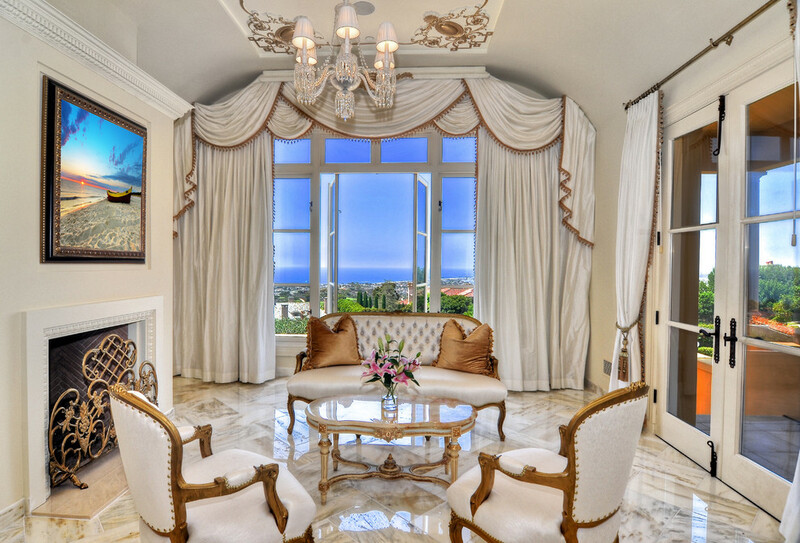 Marble flooring, French Louis XVI seating, heavy drapery, and chandeliers tells us Leyla is no stranger to attention. This girl really loves to get her glam on! What I really love about the home is that the interiors have put a spin on French, provincial style seen in castles, palaces, and chateaus. 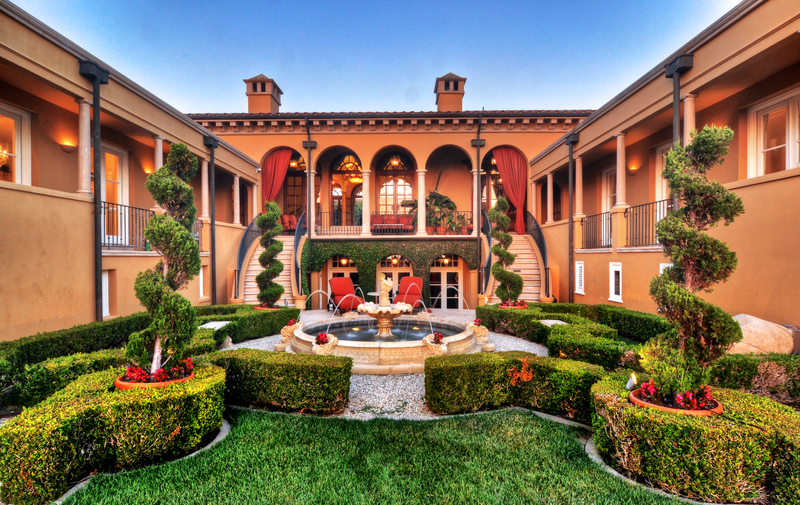 Even though the exterior of the home boasts a Tuscan, almost rustic style, the interior really is unexpected yet lovely. 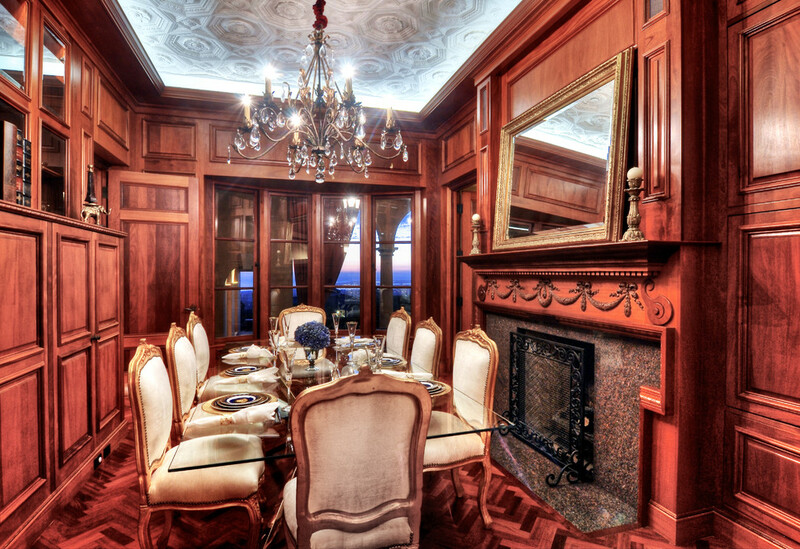 The dining room is covered in ceiling to floor rich cherry wood paneling and makes the perfect place to entertain guests for dinner. I could definitely see some tiffany pendant lights, and tiffany table lamps in this room to bring back the classic wood panelled room styles from the past. 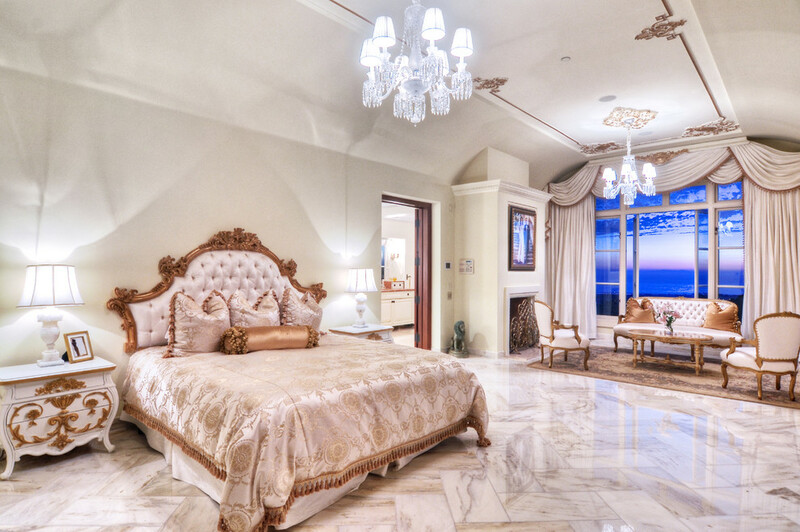 Marble flooring in the bedroom may seem a little cold, but it somehow works in this polished room decorated in white, gold, and blush pink color tones. Being a girl, my all time favorite room of the whole home is Leyla’s drop-dead-gorgeous closet! Loaded with Louboutins, Valentino rock stud pumps, Hermes Birkins, Chanel bags, Louis Vuitton duffle bags and luggage, her closet is a place I could spend my whole day in. Putting her bags in glass cabinets is a smart way to preserve them from dust, and the mirrored panels at the back of some of her shelving is ingenious way to make the room look even bigger. The only part of Mrs.Milani’s home that is a little disappointing is that there is no swimming pool! The home is over 10,000 square feet, and nestled on a small lot with not much room to house a pool anyways. 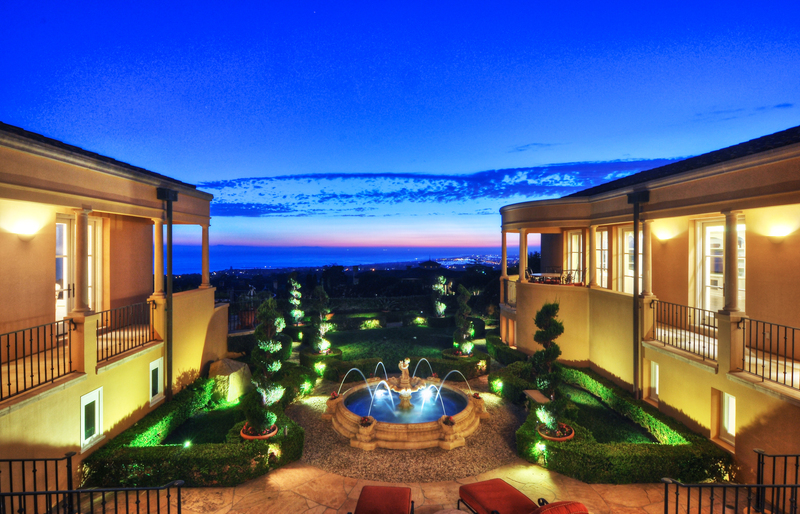 You can always go to the Pelican Hill Resort nearby for a quick dip! 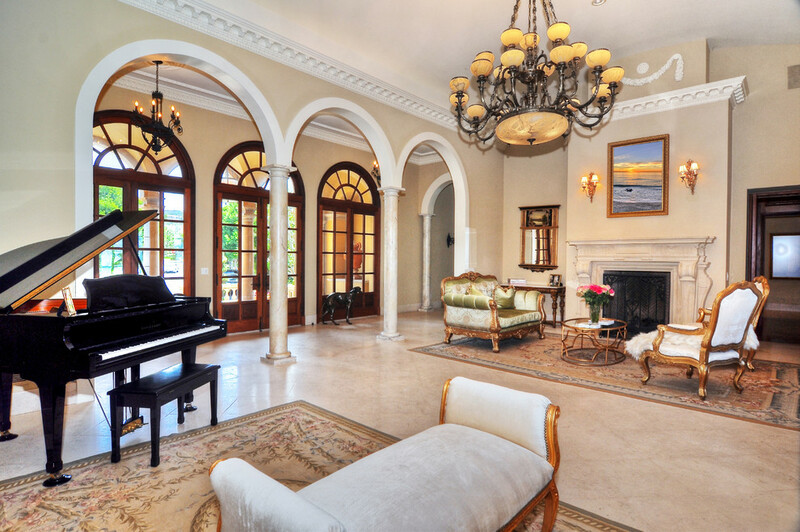 Nevertheless, the home really is a gem! 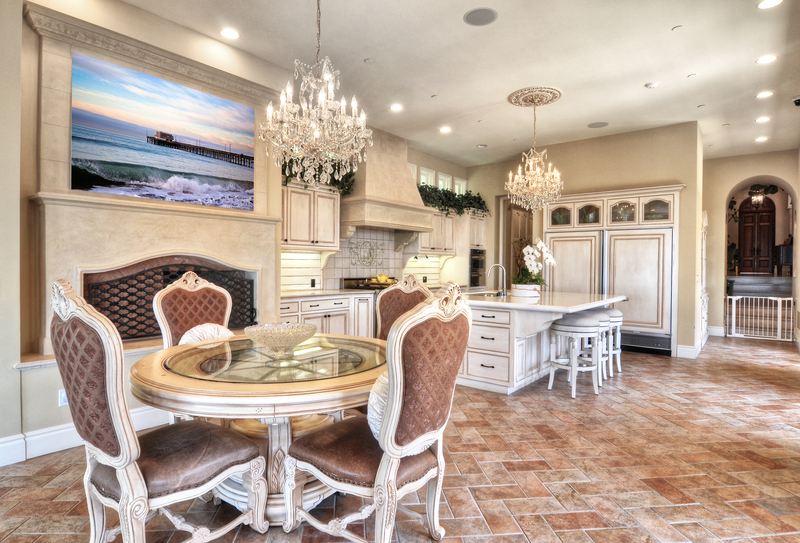 It’s actually on the market and available to buy for a cool, $10 m.
This entry was posted in Homes and tagged leyla milani, manny khoshbin home, newport coast home for sale, sunset harbor 6. Bookmark the permalink.